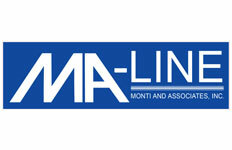 We sell 4399 items made by MA-LINE. Vibration Eliminators w/Female Ends Bronze 1 1/8"O.D. Vibration Eliminators w/Female Ends Bronze 5/8"O.D. Vibration Eliminators w/Female Ends Bronze 3/4"O.D. Vibration Eliminators w/Female Ends Bronze 1/4"O.D. Vibration Eliminators w/Female Ends S.S. 2 1/8"O.D.